The 1939–40 Winter Offensive was one of the major engagements between the National Revolutionary Army and Imperial Japanese Army during the Second Sino-Japanese War, in which the Chinese forces launched their first major counter-offensive on multiple fronts. Although this offensive failed to achieve its original objectives, some studies have shown that this operation came as a heavy blow to the Japanese forces, as well as a massive shock to the Japanese military command, which did not expect the Chinese forces to be able to launch an offensive operation on such a large scale. By April 1940, the Japanese Army had successfully forced the operation to a halt. However, a Japanese counteroffensive in the northern theater failed to seize Ningxia and was defeated in Suiyuan by Chinese Muslim forces. Muslim Cavalry under Muslim General Ma Biao destroyed Japanese armies in Henan. The Muslim General Bai Chongxi defeated the Japanese in Guangxi. The Chinese had repulsed two Japanese offensives in the summer at the Battle of Suixian-Zaoyang and in fall at the 1st Battle of Changsha. They believed that the Japanese strength was now too dissipated to take and hold new territory and would not be able to launch large offensives unless they received more reinforcements. However defending on interior lines and with control of the lines of communication they could still shift forces and launch local offensives to damage Chinese forces or mop up guerrillas in the rear areas. Additionally during 1939, the Japanese were replacing many of their large four regiment square Divisions with the smaller three regiment triangular Divisions and weak Independent Mixed Brigades. This weakening of forces encouraged the Chinese to plan a large offensive to exploit that fact. Chinese objective in the offensive was to take the initiative by conducting multiple front attacks to tie down the Japanese forces. They intended to use their position of exterior lines to advantage to prevent the Japanese launching new local offensives or shifting their forces to concentrate for a large offensive. The main effort was to be by 2nd, 3rd, 5th, and 9th War Areas and received all the newly trained and reorganized units. Secondary efforts in support of the main efforts or as diversions were to be conducted by 1st, 4th, 8th, Shantung-Kiangsu and Hopei-Chahar War Areas with their existing units. The 2nd War Area in north China was to cut off the communications of the Japanese 1st Army along the Cheng-tai (Chengting - Taiyuan) and Tung-pu (Tatung to Pukou) Railways and mop up their forces in the triangular area formed by southern Shansi and the southern sector of the Tung-pu Railway. The other Corps were to attack the enemy where they were and destroy communications in aid of the main effort. 40th Corps and 27th Corps were to attack and pin down the Japanese 36th Division in the Zhangzi and Changzhi area of Shansi. To the southwest along Tung-pu to Puchow Railway the 4th Army Group, 5th Army Group and 14th Army Group were to attack from the east while the 34th Corps and 61st Corps attacked from the west to cut the Tung-pu Railway between Yi-cheng and Yuncheng at Jiangxian, Wenxi, Anyi with the object of severing the railway at Quwo and Houma isolating the 37th Division and 41st Division at Linfeng. 1st War Area was to support 2nd War Area with an attack on the Kaifeng and Bo'ai area to tie down the Japanese forces of the 35th Division and 4th Cavalry Brigade of the North China Front Army. South of the Yellow River, the 3rd Army Group was to cut off the Lankao - Kaifeng Sector of the Lung-hai Railway. The 81st Division main force was to attack Kaifeng while a few elements attacked Lankao allowing the Anhwei - Honan Border area Guerrillas (40,000 men) to cut the Lunghua railroad near Luowang, Neihuanggi, and east and west of Lankao plus the highways at Tongxu, Huaiyang and Luyi. To the southeast the 2nd Cavalry Corps was to move east of Boxian, from Luyi attack Shangqiu from the east. Another force was to intercept and stop the enemy 21st Division relief forces moving west from Dangshan and Xuzhou. Simultaneously north of the Yellow River the 36th Army Group would attack Bo'ai and Xinxiang. The new 5th Corps would attack Japanese positions held by 1st Independent Mixed Brigade north and south of Anyang. Destroy bridges along the roads at Chi, Chun, Tang-yin, and Pao-lien Temple Station tying up rail traffic. The 47th Corps would cut rail traffic at Po-shan, Chang-kou, and clear Tai-hsing Shan [Taihang Mountains] of Japanese troops. Finally the 9th Corps was to attack 35th Division and 4th Cavalry Brigade troops at Bo'ai, Jixian, Mucheng and area of Xiuwu and Bo'ai, south of the western Tao-tsing railroad. Hopei-Chahar War Area was to support 2nd War Area using its main force of 69th Corps with its New 6th Division and guerrilla forces to cut the communications in the vicinity of Shijiazhuang, Baoding held by 110th Division and Xingtai held by the 8th Independent Mixed Brigade and along the Peiking - Hankow Railway. Other forces were to cut communications in the vicinity of Cangzhou and Dezhou held by 27th Division along the Tientsin-Pukow Railway in this way preventing forces of the North China Front Army or its 12th Army from interfering with operations in Shansi against 1st Army. 8th War Area was to assist 2nd War Area in the north in Suiyuan by attacks on the Japanese Cavalry Group  of the Mongolian Army at Baotou and Hohhot. The Main force of 35th Corps was to attack Baotou. 6th Cavalry Corps and the Advance Force was to cut the railroad between Hohhot and Salqin to prevent IJA reinforcements from the 26th Division in the Datung area to relieve Baotou. 81st Corps was to attack Dashetai while guerrilla Forces attacked Guyang and various other sites to tie down outlying garrisons. Shantung Kiangsu War Area was to prevent movement between North and Central China along the Tientsin-Pukow Railway by attacking and sabotaging it. In Shantung portions of 51st Corps were to attack near Tai'an and portions of 57th Corps near Tengxian, both held by 32nd Division. In Kiangsu portions of 89th Corps were to attack near Chuzhou held by the 12th Independent Mixed Brigade. Prior to the beginning of the offensive on December 3, the Japanese had attacked 2nd War Area forces at Xiaxian and Wenxi on the Tungpu (Tatung - Puchow) Railroad. Nine days later the Japanese were defeated, losing, according to the Chinese, 3000 Japanese and a battalion commander (Enoshima?). The mopping up of remaining Japanese minor strong points in the area lasted until December 20 when they were wiped out. On December 10, 1939, the 2nd War Area general offensive began. Japanese strong points at Henglingguan, a pass south of Jiangxian, Chen-feng-ta and Nianzhang were encircled and communications on the nearby highways were destroyed by the advancing Chinese. 4th Army Group and 5th Army Group joined forces in attacking Japanese positions at Xiaxian and other places in the area. By late December, Beishe southeast of Wenxi was cleared of Japanese troops. In response the Japanese 37th Division counterattacked with 2000 men and artillery from Yuncheng and Xiaxian. By early January 1940, elements of 98th Corps and 7th Division repeatedly counterattacked, killing several hundred Japanese, resulting in a stalemate. Meanwhile, another Chinese force (34th Corps?) attacked the Tungpu Railroad between Wenxi and Anyi destroying traffic communications. To the northeast of the 4th and 5th Army Groups, 14th Army Group attacked Yicheng and Jiangxian. On December 15, the Japanese (41st Division?) counterattacked with 5,000 troops supported by artillery and aircraft, resulting in bitter fighting and heavy casualties for both sides. On December 18, Longhua was taken by the Chinese who pursued the retreating Japanese toward Yicheng. Meanwhile, in Eastern Shanxi the 40th Corps and 27th Corps began their attack on the Japanese 36th Division in the Zhangzi and Changzhi area on December 13. 27th Corps successively captured strong points on the outskirts of Changzhi and Tunliu encircling the Japanese in those towns. On January 1, 1940, the Japanese organized a counterattack with 10,000 infantry, cavalry and artillery troops drawn from their surrounding defenses and with air support attacked Chinese positions southwest of Changzhi. The Chinese 46th and 8th Reserve Divisions fought a see-saw battle with the Japanese from their positions at Hsien-wong Temple, Yanlu and Chin-yi villages which led to heavy casualties on both sides. On the morning of January 3 the main force of the 40th Corps opened a day long attack on the Japanese that caught them between the two forces of the Chinese, suffering heavy loss was forced to withdraw to the outskirts of Changzhi. 40th Corps continued its attack on Japanese strongpoint between Huguan and south of Changzhi. On January 20 and 24 the Chinese forces cut the Han-Chang (Hantan - Chang-chih) Highway northeast of Changzhi capturing Licheng, and Dongyangguan, a pass east of Licheng and She-xian. On January 28, another force captured Lucheng but continued in bitter fighting with Japanese forces east of the town. On December 1 the 3rd Army Group guerillas cut the Lung-hai Railway near Luowang, Neihuanggi, and east and west of Lankao. They also cut the highways at Tung-hsu [Tongxu], Huaiyang and Luyi. Meanwhile, the 81st Division's main force attacked Kaifeng while some of its elements attacked Lanfeng. Lowang Railway station was taken on December 15 and the Division entered Kaifeng next day clearing the Japanese troops, burning warehouses and a headquarters (35th Division?) there. Meanwhile, to the southeast 2nd Cavalry Corps moved east of Boxian, encircled and attacked Shangqiu from the east, overrunning an airfield and burning aviation fuel there. Another force intercepted and defeated relief forces (from 21st Division?) moving west from Dangshan on the Lung-hai Railway. North of the Yellow River 36th Army Group attacked. Its New 5th Corps on December 6 attacked elements of the Japanese 1st Independent Mixed Brigade north and south of Anyang, succeeded in destroying bridges along the roads at Chi, Chun, Tang-yin, and Pao-lien Temple Station. On December 13 the 47th Corps cleared Taihang Mountain and cut the Tao-tsin Railroad taking the rail stations at Po-shan and Chang-kou. 9th Corps attacked elements of the Japanese 35th Division between Bo'ai and Jixian cutting the communications between them and attacking the defenders on the outskirts of Jixian and strongpoint at Mucheng, part of 47th Division and demolition teams broke into Jixian for half the day attempting to clear it of enemy troops. Though a minor theater of the campaign, the 8th War Area operations had some of the best results. In the preliminary attacks on December 18, 6th Cavalry Corps and the Advance Force cut the railroad between Hohhot and Salqin to prevent IJA reinforcement's movement to relieve Baotou. At the same time 81st Corps attacked Dashetai capturing it and destroying most of the garrison as it fled the next day. On the 19th, 81st Corps' 101st Division captured Chien-tze-kou [Tailiang, Ming'an?] between Dashetai and Baotou and continued eastward until it encountered a Japanese force in 50 trucks and with 7 tanks near Mao-kuei-shen-yao-tze [Maojiagedu?]. Fighting lasted till dark, the Japanese losing a tank and 10 trucks. At Kung-yi-hsing [Erh-hsiang-kung-yao-tzu?, 10 km north of Baotou] guerrillas destroyed 44 Japanese moving south from Guyang to reinforce Baotou. Elements of the New 32nd and 101st Divisions wiped out a Japanese force that had fled to Peihuangtsaoyu . The Main force of 35th Corps attacked Baotou on December 19 and entered the city on the 20th, capturing the Japanese Cavalry Group headquarters and warehouses in house to house fighting with the enemy. By noon of the 22nd the Japanese had been driven into the southwestern corner of the city. Meanwhile, the Japanese had been making efforts to relieve the beleaguered Cavalry Group. From the Peiping area they sent a force of 2000 troops from their 2nd Independent Mixed Brigade in 200 trucks with more than 10 guns and 8 tanks and the air support of 4 aircraft. Over half of this force was claimed as destroyed by the Chinese on the outskirts of Baotou on the 22nd. On the 24th additional reinforcement arrived. These were apparently enough to force the Chinese to go on the defensive, having achieved their goal of tying down the enemy. By January 28, 1940, the Japanese had built up forces from 26th Division at Baotou sufficient to launch the 第１次後套作戦 or "First battle of Wuyuan in Inner Mongolia" to recover lost territory and move west to take Wu-yuan which fell on February 3 and Linhe further west on the 4th. The 8th War Area command ordered a counterattack to recover Wuyuan from the Japanese. The Battle of Wuyuan resulted in the retirement of the Japanese to Baotou at the beginning of April. Deep in the Japanese rear areas in early December, Hopei-Chahar War Area is said to have successfully used its 69th Corps with its New 6th Division and guerrilla forces to cut communications between Baoding and Xingtai, and at Cangzhou and Dezhou. To the south Shangtung-Kwangtung War Area, in late December 51st Corps did sabotage the railroad in the vicinities of Tai'an, Tengxian and Chuzhou disrupting traffic between the north and south of China. The Japanese response was the 魯東作戦 or Shandong Operation (2/7 - 2/21 1940), 21st and 32nd Divisions and 5th Independent Mixed Brigade advanced through the Shangtung peninsula in a mop-up operation. Naval Landing Forces from the 3rd China Expeditionary Fleet landed at the end of the peninsula on February 18. The operation on the peninsula continued until February 21, reporting the destruction of about 20,000 Chinese troops. Long-hsuen's, History of The Sino-Japanese War then ends the narrative of the operation with the mention that supply difficulties that greatly affected operations ensued because of Communist raids in their rear area and instigation of revolts, which seized food and forbade food to be sold to the government forces. Despite this the 40th Corps and 27th Corps accomplished their aim of pinning down the Japanese in the Chang-chih and Chang-tze area. However, in southwestern Shanxi, the main effort of 2nd War Area and of the whole North China offensive failed to seize the major towns on the railroad or Japanese strong points that were their objectives or to cut the Tungpu Railroad except for the area between Wenxi and Anyi. At the end of the campaign the 2nd War Area claimed 13,770 Japanese killed or wounded. 1st War Area reported claims of 5,130 Japanese killed and seems to have executed its mission of tying down the Japanese troops in its area of operations. 8th War Area after a see-saw campaign had succeeded in rolling the Japanese back to Baotou in the Battle of Wuyuan. Gueriila forces in the Hopei-Chahar and Shangtung-Kwangtung War Area carried out attacks but apparently without decisive results and in the Shangtung peninsula received a serious counter blow. In 1937 the Chinese government picked up intelligence that the Japanese planned a puppet Hui Muslim country around Suiyuan and Ningxia, and had sent agents to the region. The Middlesboro Daily News ran an article by Owen Lattimore which reported on Japan's planned offensive into the Muslim region in 1938, which predicted that the Japanese would suffer a massive crushing defeat at the hands of the Muslims. The Japanese planned to invade Ningxia from Suiyuan in 1939 and create a Hui Muslim puppet state. The next year in 1940, the Japanese were defeated militarily by the Kuomintang Muslim General Ma Hongbin, who caused the plan to collapse. Ma Hongbin's Hui Muslim troops launched further attacks against Japan in the Battle of West Suiyuan. In Suiyuan 300 Mongol collaborators serving the Japanese were fought off by a single Muslim who held the rank of Major at the Battle of Wulan Obo in 1939 April. Muslim Generals Ma Hongkui and Ma Hongbin defended west Suiyuan, especially in Wuyuan in 1940. Ma Hongbin commanded the 81st corps and had heavy casualties, but eventually repulsed the Japanese and defeated them. In Central China the Japanese 11th Army was to be subject to the concentrated attack of the 5th and 9th War Areas, and supporting attacks by 6th and 3rd War Area while 3rd War Area with support from Shantung Kiangsu War area isolated 11th Army from help from 13th Army downstream by its offensive on the Yangtze and at Hangchow. 3rd War Area was to attack 116th Division positions along the south bank of the Yangtze River between Wuhu and Hukou with its main force to cut communications and attack traffic along it with mines and artillery to prevent the forces of the Japanese 13th Army from giving aid to the 11th Army up river. Shantung Kiangsu War Area was to attack along the Tientsin-Pukou Railway on the north bank of the river in support. To do this 23rd Army Group organized columns made from the 50th, 21st, 86th, and 25th Corps with three Divisions each and 18th Corps with two. The force was divided into a Right Flank Army, Central Army and Left Flank Army. Right Flank Army was to send one column to operate along the line from Shun'an to Tung-kuan-shan, Tung-chiang village and Ma-shan to insure security and attack the enemy between Digang and Tongling and Datong. Another powerful column would advance via Digang, Tongling, and Datong to the river and attack ships and capture Datong and Tongling at once. Another force was to be sent to Wanzhi and Wu-hu to harass and tie down the Japanese 15th Division. Central Army columns were to move to Datong and Huangpen to attack enemy strong points at Tseng-hsing-shan, Cheng-chia-ta-shan and Hsiang-shan to ensure security along the line from Shan-tan-chow to Chiang-chia-tzui. Later, they were to attack the enemy at Ma-tou-shan and operate from Meikang to the upper and lower reaches of the river. Left Flank Army was to organize 2 columns (built around one infantry regiment with attached artillery) to approach river banks between Dongliu and Xiangkou and between Hukou and Pengze to attack enemy ships and lay mines. Individual battalions or companies, attached with necessary anti tank guns, were to be organized into 3 attack teams to infiltrate into the river banks to attack enemy ships. Two Divisions attached with necessary artillery and engineers, and the Navy's Mine-laying Group would form the reserves and stand by at Tai-ping and Ching Hsien. 10th Army Group was to take Hangzhou, Fuyang and Linping to pin down 22nd Division in that area while the 32nd Army Group would attack and harass Nanchang from the east to aid the 9th War Area offensive against it. 9th War Area with the support of the 3rd and 6th War Areas would attack the 6th, 33rd, 34th and 40th Divisions, and 14th and 18th Independent Mixed Brigade of the Japanese 11th Army south of the Yangtze along the Canton-Hangkow Railway at Puchi and Hsien-ning and advance on Wu-chang, attack Nanchang, and along the Nanchang-Kuikiang Railway and against Jui-chang and Kiu-kiang and attack and isolate 6th division at Yueh-yang. 30th Army Group was to attack the northward between Nan-Hsun Railway and Canton-Hangkow Railway, support 27th Army advance on Wuchang, advance on Juijiang and Xingang. 19th Army Group and 32nd Army Group from 3rd War Area attack Nanchang and the Nan-Hsun Railway. Main force of 19th Army Group, the 58th Corps and 60th Corps formerly from the 1st Army Group, was to attack Wangshengang, Aicheng and Pai-tze-chiao. 32nd Corps was to attack Qiujiajie with part of its force while 141st Division and 131st Division sabotaged traffic and communications between Zhanggongdu, near Quijin and Anyi and between De'an and Ruoxi and the railroad and wires between Jiaoqiao and Lehuajie and De'an. 5th War Area was to mop up the 3rd, 13th and 39th Divisions and 14th Independent Mixed Brigade of the 11th Army north of the Yangtze between Xinyang and Wuhan along the Peiking-Hankow Railway and cut communications along the Han-yi [Hankow-Ichang] and Hsiang-Hua [Xiangfan - Huayuan] Highways. The 5th War Area forces were divided into four Armies to carry out the operation, River North Army, Right Flank Army, Left Flank Army, Southern Honan Army, and the Eastern Hupei Guerrilla force with the 84th Corps (178th and 188th Division) under Mo Shu-chieh in reserve at Tsaoyang. River North Army was to send a detachment to cross the river east of Sze-kang [Shayang] and attack Tianmen and Zaoshi, while the Main force was to cross between Shayang and Jiukou, attack the enemy west of Pai-ma-miao along the Han-yi [Hankow-Yichang] Highway, and operate along the line from Tianmen to Pai-ma-miao and Yanglin. Right Flank Army was to send a force across the river south of Zhongxiang to attack the enemy west of Xinshi. Its main force would cross the river north of Zhongxiang and attack the enemy along the Xinshi- Zhongxiang Highway. Once the strong points were taken and communications cut the Army was to operate along the line from Xinshi to Songhe and Pingba, preparing for subsequent attacks. Left Flank Army or (River East Army) was to attack with part of its forces from Pinglin to Maping and Xihe, advance to the Anlu-Yingshan Highway and cut lines of communication behind enemy lines. Its main force was to attack the enemy at Suizhou and Guanmiao, 5 kilometres (3.1 miles) NW of Yingshan, mop up minor enemy strong points and operate in the vicinity of Anlu, Pinglin, and Yingshan, preparing for subsequent attacks. Southern Honan Army was to employ a force to attack the enemy north of Yingshan, Kuan-yin-tang and Xishuanghe and send a strong force to cut enemy lines of communications in the area of Guangshui and Xinyang. Its main force was to attack in the area of Xinyang and occupy it. The Army would then operate along the line from Guangshui to Wu-shen-kuan preparing for a future offensive. Eastern Hupei Guerrilla force was to attack the enemy along the line from Guangshui to Xinyang with a regular force in conjunction with guerillas, cutting their line of communications. Its main force was to advance to the enemy rear areas at Guangshui, Huayuan and Hankow to check enemy movement. 3rd War Area's offensive began on December 16. Two days later the 144th Division of the Right Flank Army's had taken Cha-Cha-shan and Wang-chia-tan [Wanzi]. In the Central Army area 10th Reserve Division, had taken Tsen-hsien-shan, Pai-fen-shang, Maotan and part of Cheng-chia-ta-shan while the 16th Division took Pu-ling and Hsiang-shan and the 190th Division took Tuan-shan, Han-shan, and Shih-tze-shan . 147th Division of Left Flank Army took Hui-lu-ling and Kang-yao-ling . However the Right Flank Army's 79th Division and 50th Corps failed to coordinate with Central Army so that it resulted in heavy losses to the 16th Division and the 10th Reserve Division of the Central Army. These Divisions subsequently were relieved on December 20 by the 40th and 67th Divisions. On the 23rd the Japanese sent in reinforcements while their aircraft bombed the Chinese for days so that despite heavy attacks the Chinese failed to make any further progress. On the 28th the Chinese redeployed their forces, the Right Flank and Central Army were to hold their existing positions while Right Flank Army organized two special columns built around an infantry regiment with some artillery and three teams built around an infantry battalion with artillery, engineer and minelaying detachments. These infiltrated to the river bank at Ti-kang, Wuhu and Ta-tung to attack enemy ships and lay mines. Central army sent teams out from Ching-yang to do the same thing. Meanwhile, the Left Flank Army organized a defense to hold Pei-mien-shan and Hung-tsao-shan, while they massed their artillery to attack shipping and laid drifting mines on the Yantze River. Meanwhile, to the south, the 10th Army Group attack by 192nd Division and 62nd Division took Hangchow, Fuyang and Yu-hang on the night of December 13. Warehouses and puppet organization buildings were burned. The Japanese reacted by sending forces to contain the attacking forces while a regiment of the 22nd Division to strike south of Hangchow on January 21, 1940, making a forced crossing of the Chein-tang River, landing at Chiu-chia-tou north of Xiaoshan and engaging the Chinese 2nd Resistance and Defense column at Chekiang . This force then split into two groups. The minor force moved to Kanshan between Xiaoshan and Shaoxing while the main force took Xiaoshan at noon and advanced eastward to Shaoxing. On January 25 there was bitter fighting with 6th Resistance and Defense Column at Keqiao, with 8th Resistance and Defense Column at Linpu and parts of 2nd and 5th Resistance and Defense column and the 3rd District Self Defence Group at Bailutang. On the 27th the Japanese reached Linpu and were halted by Chinese forces at Kanshan, Ya-chien, west of Suo-chien and south of Yuey-ta-chiao and east of Wen-chia-yen . Under counterattack by the Chinese they fell back to Xiaoshan. Also 3rd War Area's 32nd Army Group made some diversionary attacks south of Nanchang on the Kan River and sent plainclothes detachments into Nanchang to harass the Japanese to aid the 9th War Area offensive. On December 12 when the 9th War Area launched their offensive, 19th Army Group's 50th and 60th Corps attacked the Japanese at Wangshengang, Dacheng, and Kulo-pu in the area north of Shitougang and Gaoyou and east of Xiangfuguan, cut off the communications between Dacheng and Nanchang and Chih-tien-chang. They captured Wan-ling, Pu-ling, Hsiao-ling, Man-kang-ling, Aicheng and Pai-tze-chiao northwest of Fengchuan. On the night of December 13 Japanese warehouses north of Fengchuan were burned while the main forc 139th Division, 32nd Corps attacked Jing'an. On the night of December 21 Jing'an was attacked, and Japanese warehouses were burned. 141st Division and part of 131st Division sabotaged traffic and signal communications between Chang-kung-tu and Anyi, between De'an and Ruoxi, and the rails and telegraph wires between Jiaoqiao and Lehuajie and in the vicinity of De'an. On December 12 after recovering Chongyang, the 20th Corps of the 27th Army Group telegraph wires along the highways from Bainiqiao, to Chungyang and Yanglodong and between Chongyang and Shichengwan. It also drove off enemy reinforcements in the area of Wu-li-miao, Ta-shih-ling [Tiancheng?] and Guihuashu. From December 13 the 70th Corps' 3rd and 19th Divisions attacked Chongyang, Guihuashu, and Shichengwan areas clearing the Japaneses east of Guihuashu, and captured localities on the outskirts of Shichengwan. On the night of January 8, 1940, the 70th Corps moved to Yangloudong, Puqi and Zhaoliqiao to clear the enemy there, routing enemy reinforcements at Pai-hua-pu and sabotaging the rails and telegraph wires at Tingsiqiao, Guantangyi and Zhonghuopu. ↑ Hsiao-ting Lin (2010). Modern China's Ethnic Frontiers: A Journey to the West. Volume 67 of Routledge Studies in the Modern History of Asia (illustrated ed.). Taylor & Francis. p. 55. ISBN 0-415-58264-4. Retrieved 2010-06-28. ↑ The China monthly review, Volumes 80-81. J.W. Powell. 1937. p. 320. Retrieved 2011-06-06. ↑ "Middlesboro Daily News - Google News Archive Search". Retrieved 16 October 2016. ↑ Xiaoyuan Liu (2004). Frontier passages: ethnopolitics and the rise of Chinese communism, 1921-1945 (illustrated ed.). Stanford University Press. p. 131. ISBN 0-8047-4960-4. Retrieved 2010-06-28. ↑ China Magazine. 1940. p. 18. ↑ qhmhmlc,昆仑玉. "青海八千人骑兵师东进抗日 - 昆仑玉的日志 - 网易博客". Retrieved 16 October 2016. ↑ L_104241. "冈村宁次为什么在作战记录中写下"恶战马彪"--青海频道--人民网". Retrieved 16 October 2016. ↑ "为抗击日寇和建立新中国浴血奋斗的中国穆斯林 - 历史 - 穆斯林在线-打造全球最大的伊斯兰中文门户网站(muslimwww)". Retrieved 16 October 2016. ↑ "马步芳军队抗战纪实：抗战中的马步芳和马家军！". Retrieved 16 October 2016. ↑ "让日军闻风丧胆地回族抗日名将". Retrieved 16 October 2016. ↑ "还原真实的西北群马之马步芳 骑八师中原抗日 - 历史 - 穆斯林在线-打造全球最大的伊斯兰中文门户网站(muslimwww)". Retrieved 16 October 2016. ↑ Long-hsuen, Hsu (1971). Wen Ha-hsiung, ed. History of The Sino-Japanese War (1937–1945). Chang Ming-kai (2 ed.). 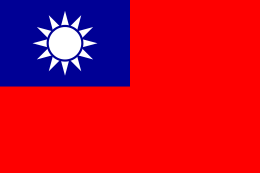 Taipei, Taiwan Republic of China: Chung Wu Publishing. ↑ "抗日战争时期的侵华日军序列沿革". Retrieved 17 March 2010. ↑ Kataoka, Tetsuya. "Resistance and Revolution in China". University of California Press. Retrieved 17 March 2010. ↑ "1939–40 Winter Campaign". Archived from the original on August 19, 2008. Retrieved 17 March 2010. ↑ "Topographic Maps of China during the Second World War". Series L500. U.S. Army Map Service. 1954. Archived from the original on 11 March 2010. Retrieved 17 March 2010.